The property you were eyeing on for the past few months is finally yours. To complete the legal formalities, you have to exchange the contracts. However, this contract exchanging process could be quite tricky. Here is a guide to ensure that the process is stress free. Why it is important to handing of title? Before proceeding ahead, you have to learn the importance of exchanging the contracts. Until this is done, no side is obliged to buy or sell the property. They could pull out without paying any penalty. It is only after transfer of property papers, you can breathe a sigh of relief. 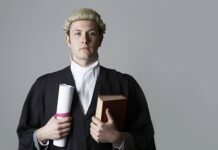 Whether it is important to hire solicitor? It is possible to complete and transfer the title on the same day. The process would become much simpler and convenient. However, this is preferred only if the seller is chain free. In order to do so, hire the professional conveyancers. They will proofread the property papers properly to ensure they are identical. If you want to save on property solicitors fees, you must understand the rules and laws related to the property sale. Once the papers are transferred, both the parties will be binded legally to sell or buy the property. If you do not follow the legal formalities, you might even lose the deposit and could be sued. There are few things that must be checked after during the transfer of title. You must notify the freeholder if the properly is on leasehold. It is important to register the transfer of ownership to avoid any inconvenience later. The mortgage lender might ask you to send the copy of the title deeds. The utility companies must be aware of the fact that you own this property now. Besides this, make the changes with the respective banks and notify them that you have moved. It is important to change the address on driving license and organize the post forwarding.